Google’s Cloud Computing and Branding Strategies in 2013 quite significant. Google is taking approaches for increasing brand value through Hardware, Cloud etc. If you have some relationship with Google AdWords and AdSense; you will understand that, Google is gradually scrubbing out their “Daddy” like attitude towards even the small publishers and Advertisers. On the other hand, Google has withdrawn their free tier of Google Apps or rather Google Apps for Domains. If you think for one moment, it will appear to you that why Google gave the Free tier competition to Hotmail/Outlook. The reason is to get rid off the consumers who are not productive for Google Apps. In general, people has an idea that increasing cost makes the product better, indirectly it contributes for increasing the brand value. This is the model Apple Computers, now Apple Inc. followed. It is not that Apple has all excellent products. In fact their excellent products do not have that big market than their over promoted products. How many users actually knows about Mac Pro or how many people actually can buy their Mac Pro’s actually portable version with different processor architecture – MacBook Pro 15″ ? Very few. Their main target and revenue is from iPad, iPod, iPhone like products. In fact, iPod has various kind of versions starting from funky looking smaller impractical portable music player. 7″ Tablet was not fav of Steve Jobs, he indeed said a bit bitterly about the 7″ version. But ultimately iPad got smaller sibling too. Google’s Cloud Computing and Branding Strategies in 2013 is quite matured and multi-faceted to make it a fool proof system. AOL practically dying or died for various reasons. Google had such weaker points. Google’s Cloud Computing and Branding Strategies in 2013 in made in way so that, they can increase revenue from Ad networks, which is basically their main segment of revenue generation; increase the brand value through two ways – by stabilizing the Cloud Computing services and create a new segment – hardwares like Google Glass. Google kept the point in mind – from IBM to Apple Inc. all are existing, fighting back only for the reason – they are primarily hardware manufacturers. It is quite difficult for a software only company to fight back if crisis happens. First there is less data with the strategies because Software market with Open Source and Free Softwares competitors is relatively newer when compared to hardware market. Cloud Computing itself is not a hardware, but to some extent it has resemblance with the market of hardware. The reason is the usage pattern, dependency etc. To some extent, we have said about Google Glass and their idea of developing it. Whether Google Glass is useful or not, that is a separate question; but Google Glass definitely has created a kind of buzz which possibly the highest Google ever could create and comparable to Apple’s new series of product launch. The search engine giant Google is expanding its cloud portfolio consistently challenging Microsoft, the company which has similar line of products. Investment in own IT infrastructure in order to satisfy the first power-hungry search and indexing, has allowed Google to advance the overweight player in the cloud computing market. Periodically new Google cloud services are internationally distributed. Google currently offers more than 30 different services, which are available to he users usually free of charge. The different areas are covered. Starting with the well-known search on statistical tools to full office suite is something that solves the problems for everyone. Specifically, the steady expansion of the Enterprise shows that Google is also in the lucrative market of business cloud. Google has quite good chances to play an important role in enterprise IT because of their full control on search, default browser search engine and their own Ads on search network and publishers network. Office and collaboration tools, Google Postini, Software development in the Google Cloud, Android, Chrome, Chromebook, Access to Google’s cloud infrastructure are simply points to the fact – each services itself are eligible to be analyzed separately. 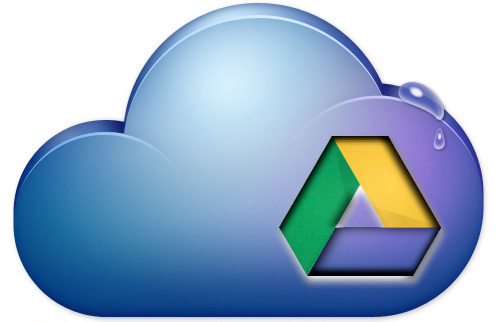 Considering the variety of cloud services Google is certainly among the world’s leading cloud computing providers. From the classic retail segment, the search giant continues to move toward enterprise customers. A strategically important step is the expansion of Google’s mobile cloud portfolio with the products Android and Chromebook in conjunction with the established cloud services or the Google Apps in the enterprise area. The desire for more mobility and mobile data access from any place and at any time will continue to increase in the coming years. This Article Has Been Shared 2963 Times! Cite this article as: Abhishek Ghosh, "Google’s Cloud Computing and Branding Strategies in 2013," in The Customize Windows, May 4, 2013, April 21, 2019, https://thecustomizewindows.com/2013/05/googles-cloud-computing-and-branding-strategies-in-2013/.